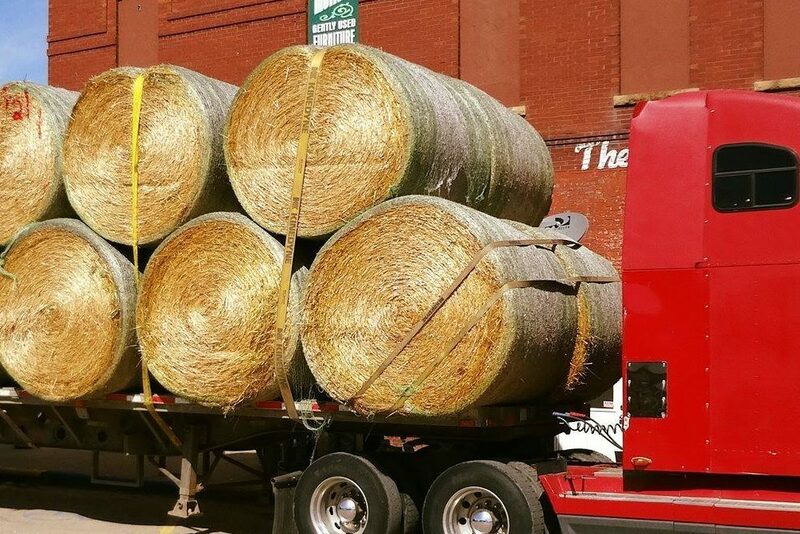 Rock Valley Hay Auction has been selling hay and straw for over 70 years. We sell on average 4500 loads annually. Let our experience in hay and straw marketing work for you. Auctions are currently Mondays & Thursdays @ 12:30p.m. Monday auctions are held November through April in addition to the year around Thursday sale. Contact our office if interested or have any questions at 712-476-5541. Monday sales end this month! 2 Monday sales remaining! Market was called steady on a light run today. The rainy weather did not help our first Monday sale. We had no bedding today. The chili cook-off was a success. Thank you to all who participated. Juanita took 1st place, and Frank took 2nd. THIS IS OUR FIRST MONDAY SALE OF THE SEASON. WE WILL CONTINUE HAVING MONDAY SALES, IN ADDITION TO OUR THURSDAY SALES, THROUGH THE END OF APRIL. Miss Beatrice, the church organist, was in her 80s, and had never been married. She was always admired for her kindness and sweetness to all. One afternoon the pastor came over to visit her, and she showed him to a quiant sitting room. She invited him to sit while she prepared the tea. As he sat facing her old pump organ, the young pastor noticed a fancy bowl sitting on top. The bowl was filled with water, and in the water, out of all things, floated a condom! When she returned with the tea and scones, they began to chat. The preacher, tried to stifle his curiosity about the bowl of water and its strange floater, but soon it got the better of him and he could no longer resist. *Miss Beatrice, I wonder if you would tell me about this* he said pointing at the bowl. Market was called a little lower today. Hay was of decent quality. Buyer interest was a little lower than last week. REMEMBER: MONDAY WILL BE OUR FIRST MONDAY SALE OF THE SEASON! COME EARLY FOR OUR CHILI COOK-OFF. John is having a bad day. He tried to button his shirt, and the button fell off. He picked up his briefcase and the handle fell off. He tried to open the door, and the doorknob fell off. Now he's scared to pee.